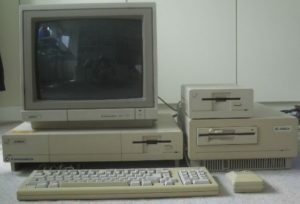 The Amiga range of computers did not exist in a vacuum, as there were plenty of alternatives people could and did choose to purchase. 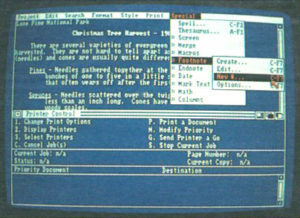 The aim of this page is to provide some context, to show how the Amiga computers fitted into the computer landscape of the time. Now, while it may be clear to some which were a better choice now, with the benefit of hindsight, in 1985 things were very different. 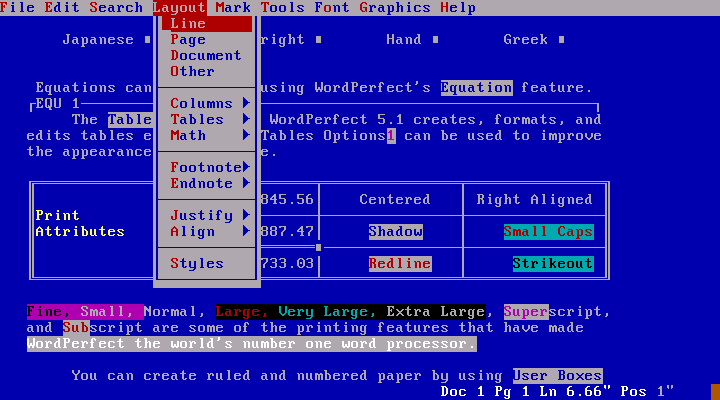 The Amiga (and Atari ST) had very little software available for them, while many of the other machines had quite substantial software libraries. While this wasn’t a huge issue for technically minded people who were willing and able to program for the new machines, for the average user, this was an important issue. It is often said that software sells hardware (often this is referred to as “The killer app”), and this was most certainly the case in the early years of the Amiga, it was a situation where people didn’t purchase an Amiga because there was little software available, and people didn’t make software to run on it because not many people had purchased one. It didn’t help that Commodore were in financial trouble, and people were hesitant to purchase a machine that may not have after-sales support because the company went bankrupt, and because of these financial woes, they spent very little indeed on advertising their machine to the world. So there were some very real arguments for purchasing other machines in the early years. As time went on, what happened was that the Atari ST sold in higher numbers than the Amiga, at least in the first 2 years, due to lower prices for the Atari ST and aggressive advertising of the Atari product, along with what was still a large recognition of the Atari brand name by the public. It probably didn’t help that Commodore continued to sell the Commodore 64 and Commodore 128, and the Commodore 64 was still quite popular in many parts of the world – so many people who may have purchased an Amiga could very well have purchased a Commodore 64 instead. Because of the sales success of the Atari ST, and it’s use of the same CPU and somewhat similar design, what happened was that a lot of software was designed for the Atari ST, and then “ported” to the Amiga, which means that it was designed within the constraints of the Atari machine, and then was only changed enough to get it working on the Amiga, rather than taking advantage of the features of the Amiga. As a result of this, not only did much of this software look and sound the same on both machines, but because the Amiga had a slightly slower running Central Processing Unit, it would work more slowly on the Amiga – not good when it’s an action-based game! Also, the inclusion of MIDI ports on the Atari machine, combined with good MIDI sequencing software such as Notator, meant that the Atari machine quickly became the machine to have if you were a musician. 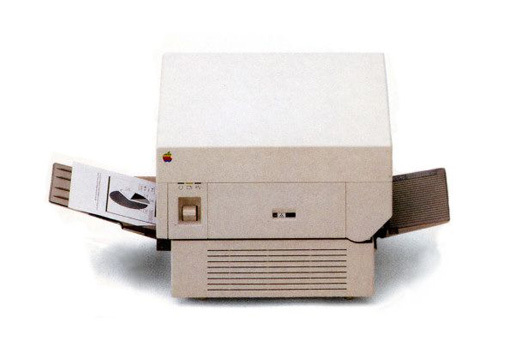 Meanwhile, despite the rather high price of the Apple Macintosh, it’s support for Postscript and the Laser Printers, such as the Apple LaserWriter printer, along with the release of the PageMaker software, along with it’s relatively high resolution screen, meant it very quickly became the defacto standard for what came to be known as Desktop Publishing. 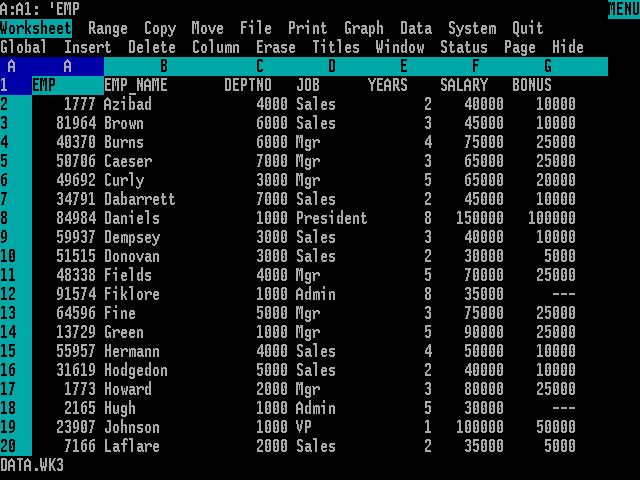 The IBM PC XT (and clone machines) sold well, mainly to businesses, for a number of reasons. One of which was that there was a saying at the time, which was “Nobody ever got fired for buying IBM”, and for most offices, a PC did most of the tasks required, and had fantastic software support. 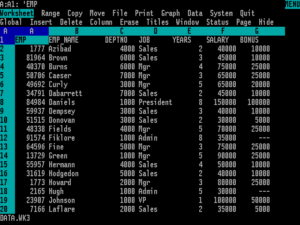 The combination of an IBM PC XT (or clone), Microsoft DOS, Wordstar (or WordPerfect) for Word processing, Lotus 123 for spreadsheet duties and DBase for storing and retrieving data in a database, along with a relatively inexpensive dot-matrix or daisy-wheel printer, capable of printing carbon copies, was all they needed. While it may seem strange to us now, things like colour graphics, good stereo sound and multi-tasking were seen as frivolous distractions which were not required. As mentioned above, the Commodore 64 continued to sell well, predominantly to the home market. The Sinclair Spectrum also continued to sell well to this same market. So in the early days, the Amiga was seen by many as a neat machine, but one they couldn’t justify purchasing over some of the alternatives. It wasn’t until the release of the game “Defender of the Crown” by Cinemaware in 1986 that there was any compelling argument to be made for purchasing an Amiga, despite the game being released in what was later discovered to be an unfinished state, with some of the intended game-play options not present in the Amiga version. This was one of the first software packages to really show what could be done on the Amiga, and was quite stunning for it’s time – when compared to games from only a few years prior, such as Pacman, this looked and sounded like something from another planet. It was later ported to other machines, such as the Commodore 64, IBM PC, Atari ST and Apple Macintosh, but the Amiga version clearly had the best graphics and sound. But the rest of the computer industry wasn’t standing still. in 1986, Atari released the Atari 1040ST, which had a whole 1024K of RAM, better known as 1MB. Meanwhile, the Amiga still only had 256K or a 1/4 of 1MB, unless it was expanded with the A1050 memory expansion option, which still only took it up to 512K (1/2 of 1MB). Worse still for Commodore, the Atari 1040ST was less expensive than the Amiga. 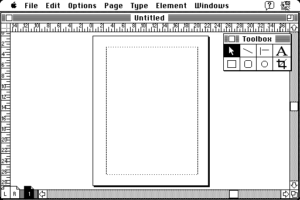 Meanwhile, there was a new Apple Macintosh model, the 3rd model since the original Apple Macintosh, which was called the Macintosh Plus, which also came with 1MB of RAM as standard. In 1987, the original Amiga model was retroactively renamed to the Amiga 1000, and the Amiga 2000 and Amiga 500 were released. The Amiga 500 was cheaper than the Amiga 1000 and came with more RAM, however it only had 512K RAM standard, still half that of the Atari 1040ST and Apple Macintosh Plus. Instead of being a 2 piece design like the Amiga 1000 was, with the keyboard separate to the the computer itself, the Amiga 500 computer was an all-in-one design, where the computer was housed underneath the keyboard, much like the very successful Commodore 64, only the Amiga 500 also included it’s 3.5″ floppy disk drive in the same housing, located on the right side of the machine. 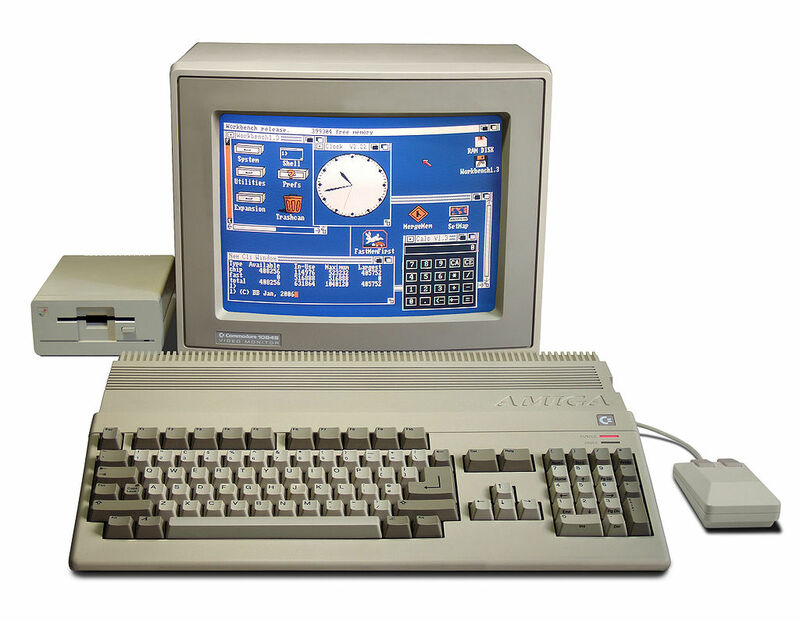 To make the machine more appealing to buyers the Amiga 500 was often sold in bundles, including games and application software such as Deluxe Paint. The Amiga 2000 was intended for the professional workstation market, for those who required more expansion than the Amiga 1000 offered, and had the same advantages as the Amiga 500 over the older Amiga 1000 model, while all it’s expansion options were internal in the large case it came in. It was designed to be expanded to meet the users needs, and had a large number of slots for different expansions, with several different expansion slot types for different types of expansions, including 16-bit ISA expansion slots, the same as in the IBM AT and compatibles, which was rapidly becoming an industry standard. However, the ISA expansion slots were not active without an appropriate Amiga expansion board in order to enable them, such as the A2088XT. 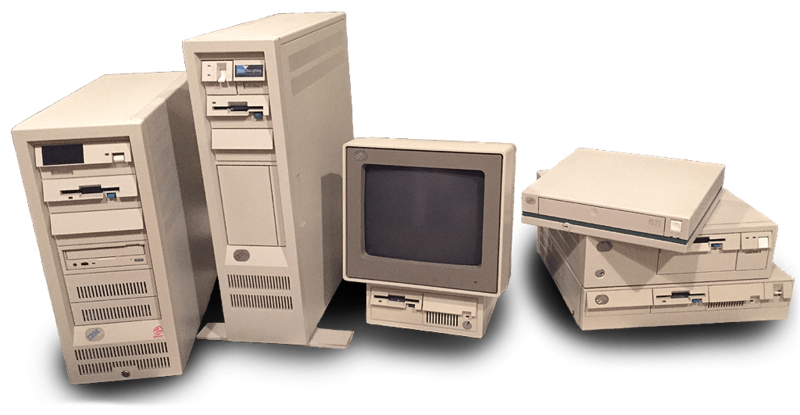 However, while the Amiga 500 and Amiga 2000 most certainly had improvements over the older model, these improvements were incremental during a time when the whole computing industry was advancing at a staggering pace. 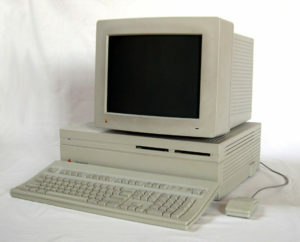 The Amiga 500 sold very well in Europe and Australia to the home market, but didn’t sell as well as was desired in the United States, where IBM Compatible and Macintosh computers were selling somewhat better. Despite the high cost, the new Macintosh II series sold (perhaps surprisingly) well, and it most certainly had advantages over the Amiga product line, as it was now capable of 256 colours in a high resolution, came with a much faster CPU (68020 running at 16MHz), more RAM (1MB standard, up to a whopping 8MB maximum), a hard disk, and a large number of internal expansion slots. Meanwhile IBM released the PS/2 line of computers, with the top of the line model featuring 256 colour VGA graphics, a 386DX running at a blistering (for the time) 16MHz, a hard disk drive and up to 6MB of RAM. So while the Amiga still had a technical lead in some aspects, and for some tasks it’s slower 7.14MHz 68000 CPU wasn’t a hindrance, it was already starting to look outdated compared to some of it’s competition according to the average Joe, who saw that the Macintosh II and IBM PS/2 had a 16MHz CPU, while all the Amiga models had the same 7.14MHz CPU, and many decided that the bigger number in the Apple and IBM machines must mean it’s better. Commodores almost complete failure to advertise and explain why this wasn’t the issue it seemed didn’t help things either. 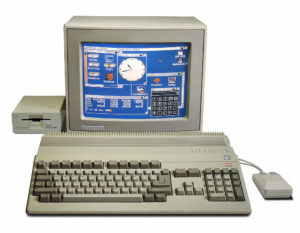 In 1988, Commodore produced the A2620 card for the Amiga 2000, and sold machines with this pre-installed, often labelled as a Amiga 2500, usually along with a A2090 storage adapter and hard disk drive. This gave the Amiga 2000 more RAM, a faster CPU and a hard disk drive. This almost brought the Amiga 2000 up to parity with the machines from Apple and IBM (and the growing number of “IBM Compatible” clone machines, such as those from Compaq). But it wasn’t a new machine, despite Commodore labelling some of them as the Amiga 2500, and in many ways, the Amiga was playing catch-up to it’s competitors. In 1989, perhaps one of the most stunning Amiga games was released, Shadow of the Beast. This helped sell many Amigas to home users, as it was, quite simply, breathtaking, both visually and audibly. But while it was a treat to look at and listen to, very few people could honestly describe it as fun to play. Still, it showed what the machine was capable of, and compared to every other machine on the market, it looked and sounded like something from another planet. But as noted above, the Apple Macintosh, IBM PC and even the Atari ST were also selling strongly, and they had all found niche markets. 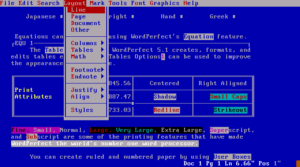 As great as the Amiga was, it wasn’t seen as much more than a games machine by many, and while there were software packages such as WordPerfect released for it, they didn’t sell well at all, simply because most people who wanted to use a machine for something like that purchased a different machine. It must be said that Commodore were aware of this problem from the start, and did take some steps to provide a solution to this. In 1986, they released the “sidecar” A1060 IBM PC XT emulation expansion for the Amiga 1000, which added all the hardware and software needed for an Amiga 1000 to run software designed for the IBM PC XT at full speed, giving you the functional equivalent of 2 computers on the one desk. Because this was an external add-on the the Amiga 1000, it did mean that the Amiga 1000 + A1060 took up a considerable amount of space. 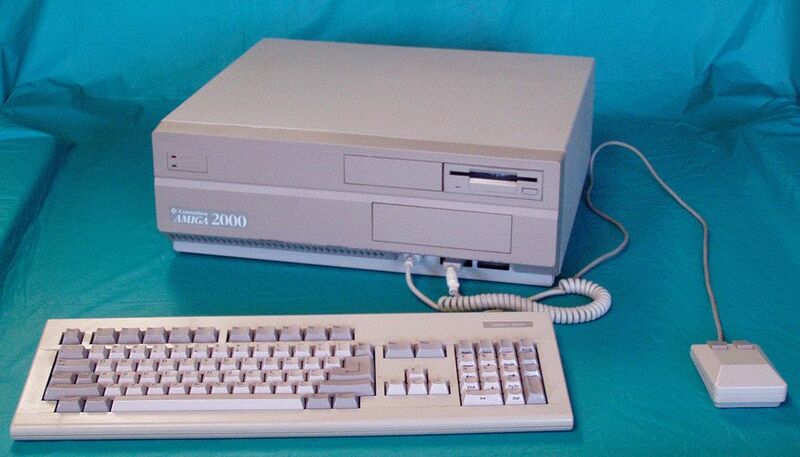 With the release of the Amiga 2000, with it’s internal expansion capabilities, the A2088XT expansion was offered, which offered the same functionality to the A1060, but as it was installed internally within the Amiga 2000 it didn’t have the disadvantage of taking up any more desk space. Later on, they released more powerful versions of the same concept, as did other companies such as Vortex and GVP. Perhaps interestingly, this approach was not just taken by Commodore with the Amiga, as Apple tried the same approach in the 90s with their “DOS compatibility cards” in their Macintosh line of computers. But none of this addressed the elephant in the room, which can be summed up in this way, making your computer capable of running software for a different machine does NOT encourage people to make software for your machine, it only encourages people to make software for the OTHER machine. So, the Amiga was selling, but mainly to home users, most of whom only used it to play games. However, it did find some success in other markets. One of these was the Software development industry. 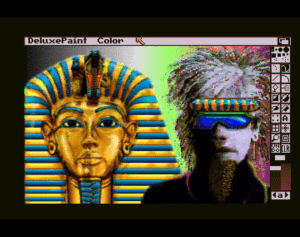 Not only did software companies need Amigas to test their Amiga games on before release, but the Deluxe Paint software became almost an industry standard for development of the graphics to be used within games, not just for the Amiga, but for virtually all other systems. The main character in the extremely popular “Monkey Island” series of games has the first name “Guybrush”, because that was the filename used for the graphic of the main character – “Guy.brush”, which was drawn using Deluxe Paint. There was another market that was slowly taking shape, which would grow to become one of the Amigas strengths and it’s own niche for a long time – Digital Video. In 1987, Commodore released the A1300 Genlock expansion for the Amiga 1000. This was followed by other Genlocks from Commodore for other Amiga models, as well as from other manufacturers for the Amiga range. What is a Genlock, and why were they important to Digital Video? Basically, a genlock takes advantage of the way the Amiga outputs it’s video signal, and enables mixing of the Amigas video and audio output with a video input from a VCR or video camera by synchronizing the two and then combining them. They were (and are) easy to use, relatively cheap, and could provide extremely professional looking results. With a decent video camera, an Amiga computer, a genlock, and a decent video recording device, such as a decent VCR, professional title screens and subtitles could be added by almost anyone, enabling people to produce things such as wedding videos for clients for one example. 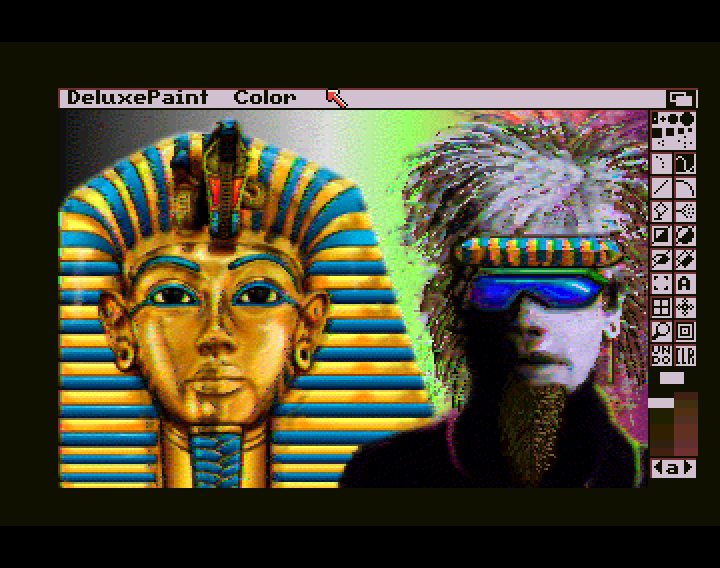 This worked by the background colour on the Amiga being treated as transparent by the genlock, allowing the video from the input source to show instead of the background colour, while adding any text or graphics desired “over the top” of the input. In December 1990, a product was released that would cement the Amiga as THE machine for digital video. This product was known as “The Video Toaster“. It required the video expansion slot, only found in the Amiga 2000, 3000 and (later) Amiga 4000, but not only was it a genlock, but also had 4 video inputs, which could be mixed in a huge number of ways in real time before being output. Also it included a program that was called “Lightwave 3D”, software designed to create 3 dimensional pictures and animation. So with the purchase of an Amiga 2000, 3000 or 4000 and a video toaster (for the price of $2,399), you had a more flexible alternative to “professional” systems that could cost well in excess of 10 times that, yet the video toaster could do more than the more expensive alternatives. A large part of the Video Toaster package was software for creating 3 dimensional images and animations, which was called Lightwave 3D. This certainly wasn’t the first such software on the Amiga, as such programs as TurboSilver (later called Imagine 3D), Sculpt 3D (still images) and Sculpt 4D (animations) already existing on the Amiga, but not being known for being easy to use. Still, many people started a career in professional computer graphics on the Amiga using one or more of these programs to produce professional images and video. The video toaster system, combined with a few cameras and recording devices, was all people needed to create their own professional-looking TV shows, if you’ve seen the movies “Waynes World” & “Waynes world 2”, you have a pretty good idea. 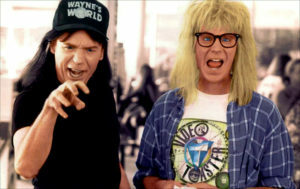 Side note, in the second movie, you can clearly see the ‘Garth’ character wearing a video toaster shirt, that actor is Dana Carvey, and his brother, Engineer Brad Carvey, built the prototype of the Video toaster hardware. 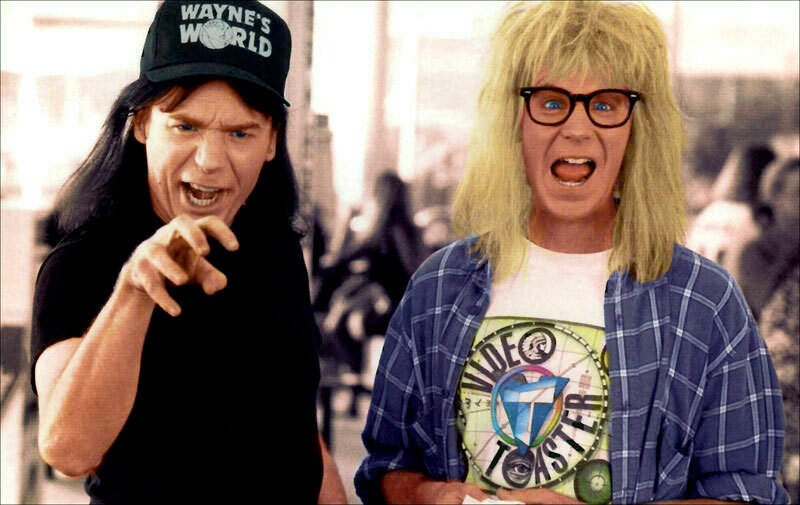 So, it could be argued that the “Waynes World” movies were basically 2 long advertisements for the Video toaster, as the premise of the movies – creating their own cable TV show in their basement, was only really a viable option at that time with an Amiga and a video toaster! Finally, the Amiga had it’s own “Killer app” – Desktop video, just like the Apple Macintosh had Desktop Publishing. But once again, by this point, Commodore were in financial trouble, having recovered somewhat in 1987 with both the success of the Amiga 500 and huge layoffs of staff. But by the end of 1990, things were once again going downhill fast, some as a result of choices made by management, and other by external factors in the market. 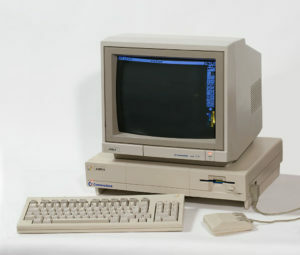 The general public still saw the Amiga as a games machine, and while Desktop video was indeed a niche market that the Amiga was uniquely suited to, this was still a drop in the ocean compared to sales for Desktop publishing and the runaway success of the IBM PC. It most certainly didn’t help that it seemed to many that Commodore didn’t know how to sell the Amiga, nor did they seem particularly interested in trying to sell it, I mean, they even produced and sold a “new” version of the Commodore 64 – originally released in 1982 – in 1990, as the Commodore 64GS (Commodore 64 Game System), which bizarrely had no keyboard and so was not compatible with the vast majority of software for the Commodore 64. It was a commercial disaster, costing the ailing company money it was in no position to lose. Commodore were also working on a successor to the Commodore 64, The Commodore 65, intended to be compatible with the Commodore 64 from nearly 10 years ago, while offering some upgrades. But there was no market for such a machine in my opinion, certainly not when this project was started in 1989, as it would have only taken sales away from the Amiga product line, and it used up valuable resources within Commodore that should have been devoted to the Amiga product line. Also, some of the technical advantages that the Amiga had enjoyed in 1985 were no longer in their favor by 1990. 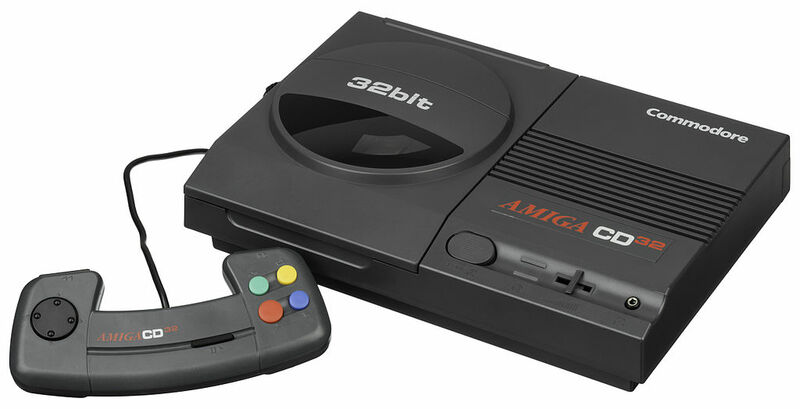 By this time, the Sega Mega Drive/Genesis game console had been released and was competing with the Amiga in the video game industry. The Apple Macintosh II series (released in 1987) was faster and had better graphics for use as a ‘serious’ computer, and it was joined by the Macintosh LC series (Low Cost Colour) in 1990, which shared much of the features of the Macintosh II line, but without most of the expansion capability, at a greatly reduced price. 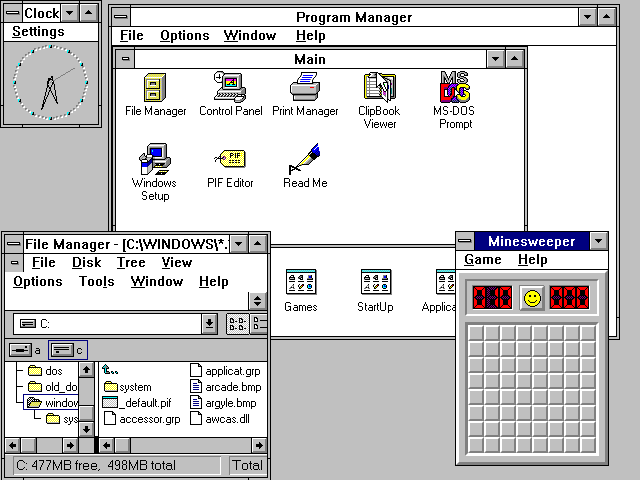 Windows 3.0 had been released on the IBM PC, which while not as good technically as the Amigas Workbench/Kickstart system, it had much better software support. Also, in 1987, the Video Graphics Array (VGA) standard had given the IBM PC 256 colours on screen out of a full palette of 16.8 million in low resolution, which was in some ways superior to the 4096 colours of the Amiga, as it could show much smoother gradients and had better colour accuracy. The Amiga gained similar (although in many ways superior) graphics ability to VGA with the release of the AGA chipset in 1992, but coming 5 years after both the Macintosh and PC gained this sort of colour output, was far too late. Windows 3.0 was released by Microsoft in 1990, and it was remarkably successful. Finally the IBM and compatible machines (starting to become known now simply as “PC”) had a usable graphical user interface that was finding support with software developers, and while it certainly wasn’t as advanced as the Amigas Kickstart/Workbench combination, or the Macintosh Operating system, it was good enough for most people, particularly compared with the computing power and storage that was becoming available at that time. Mind you, by December 1990, there had been further advances in the Amiga line. 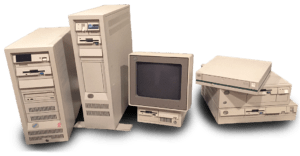 The biggest advancement in the Amiga product line since the release of the original Amiga 1000 was released in 1990, the Amiga 3000 brought with it a large number of improvements and was aimed at the professional workstation market. 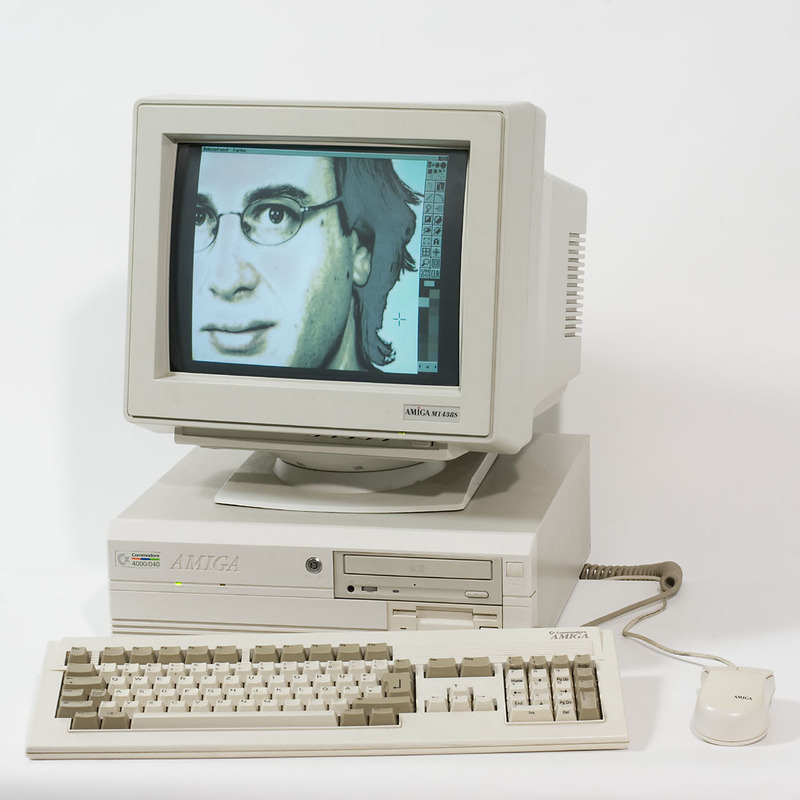 The Amiga 3000 had a much faster 68030 CPU at it’s heart, the ECS chipset, “Release 2.0” of the Amiga Kickstart and Workbench environment, as well as the same 1.3 release as the other Amiga models, selectable when the machine is first turned on. It also featured an inbuilt SCSI interface for hard disks and other storage devices, and a built in “Display enhancer” which enabled the use of VGA displays. It came with 2048KB of RAM as standard, quite an upgrade from the 512KB still standard in the Amiga 500. It was at least 5 times the speed of an Amiga 500 or Amiga 2000, and offered quite a large number of advantages, all in a very stylish package. However it was rather costly in comparison to the previous models, and some existing software didn’t work correctly, if at all. The Amiga 3000 was the first of a number of new machines to be released from 1990 until 1994, with a perhaps bewildering array of machines coming out until Commodore went bankrupt in 1994. 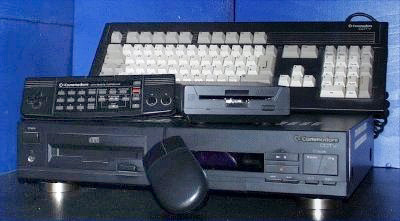 The CDTV was an interesting device, released in 1991, intended to be sold as a consumer entertainment device and NOT as a computer, but more like a CD player with a visual display on your TV. 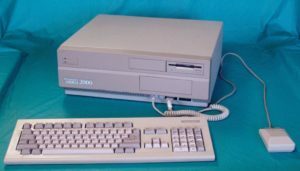 In fact, despite it being basically an Amiga 500 without a keyboard, but with a CD-ROM drive, Commodore insisted it not be sold alongside Amiga machines in stores, and the word Amiga was not to be mentioned in reference to the CDTV. It was an interesting concept, but it was too much of a computer for the general public, who also didn’t really see the point. 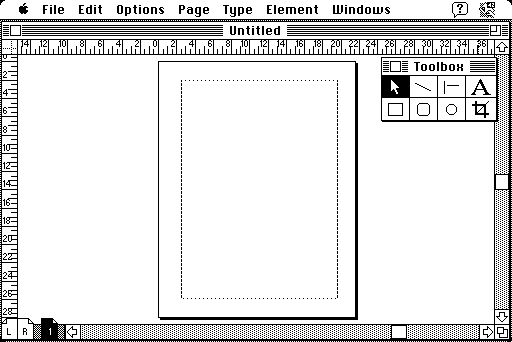 The Apple Macintosh series got an upgrade to System 7 for it’s operating system software in May 1991, offering a large number of advancements over it’s previous version, including the ability to read and write to PC floppy disks. This was followed later this year with a new Macintosh product line aimed at Professional high-end users, the Macintosh Quadra series, featuring the super-fast 68040 CPU. Notably, the engineers at Commodore had actually produced a processor board for the Amiga 3000 which used the same 68040 CPU – the A3640 CPU board, which was ready to be put into production when the Amiga 3000 was released, but management decided to not go ahead with this option. Because of this, the Apple Macintosh Quadra 700 and 900 models were significantly faster than the Amiga 3000. The design for the 68040 processor board for the Amiga 3000 was eventually used in the Amiga 4000/040 in 1992, but once again, the Amiga range was playing catch up, thanks to management at Commodore. The Amiga 500 plus was officially released in 1992, although some people who purchased an Amiga 500 towards the end of 1991 had the surprise of finding they had in fact got the new model. 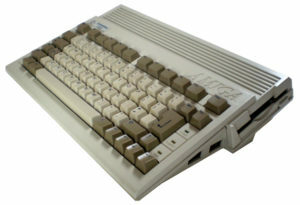 While looking almost identical to the Amiga 500 model it replaced, it had a number of changes internally, including Kickstart 2 in ROM and the ECS chipset. 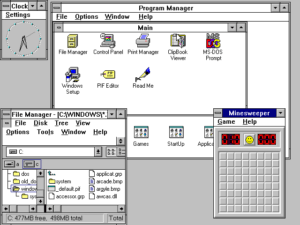 Windows 3.0 was followed by it’s successor, Windows 3.1, in April 1992, which built on the success of Windows 3.0 and established Windows 3.1 as the defacto standard on the PC, coming pre-installed on the majority of machines sold from then until the release of Windows 95. 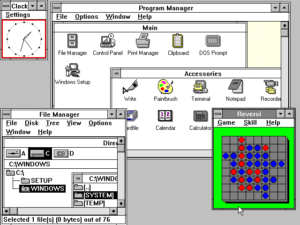 As Windows 3.1 required a version of DOS to also be installed on the machine, Microsoft had 2 products usually being sold at the same time, and it was during this time that Microsoft Word and Microsoft Excel really started to gain popularity, meaning that Microsoft were doing extremely well financially. The Amiga 600 was released in 1992, and was the smallest Amiga model ever, with no numeric keypad. It was very much like the Amiga 500 plus that it replaced, with 1024KB of Chip RAM and the ECS chipset, but without the side expansion that the Amiga 1000, Amiga 500 and Amiga 500 plus had. Instead it had a PCMCIA expansion port and a 44pin IDE hard disk interface, suitable for a 2.5″ hard disk drive. Originally designed to be the cheapest Amiga model ever, features were added that ended up raising the production costs and in the end it was the same price as the model it replaced, while being less expandable. For a very long time, this made it the least desirable of all the Amiga computers, however with the release of the Vampire and Vampire II CPU expansions for the Amiga 600 making it the fastest Amiga computer, it has become much more popular over the last few years. The Amiga 4000 was released in 1992 and was a successor to the high-end Amiga 2000 and Amiga 3000 models. It was the first model with the 3rd major, and biggest revision ever to the Amigas custom chips, the AGA chipset, and was the first Amiga machine to be sold with the most powerful CPU in an Amiga so far, the 68040 with the A3640 CPU card mentioned above, originally designed for the Amiga 3000. In 1993 a less expensive version of the Amiga 4000 was released with the slower (and cheaper) 68030 CPU. The Amiga 1200 was the last Amiga computer designed as a home computer, and is considered by many to be one of the best designs out of all the Amiga models. Released in 1992, it had the AGA chipset as found in the Amiga 4000, but paired with a slower 68ec020 CPU running at 14.28MHz (still more than twice the speed of the 1000/2000/500/500+/600), and 2048KB of chip RAM. It shared some of the features of the Amiga 600, such as the IDE interface for a 2.5″ hard disk drive, and the PCMCIA expansion slot, but also had a “trapdoor” expansion slot which enabled the adding of a single expansion, usually containing a faster CPU paired with Fast RAM. The Amiga CD32, released in 1993, was an attempt at a games console, based on the Amiga 1200 without a keyboard, but with a double speed CD-ROM drive (twice the speed of the drive in the CDTV) and a few other changes to make it suitable for it’s intended purpose to go up against the Sega Mega-drive/Genesis and Nintendo Super Nintendo. 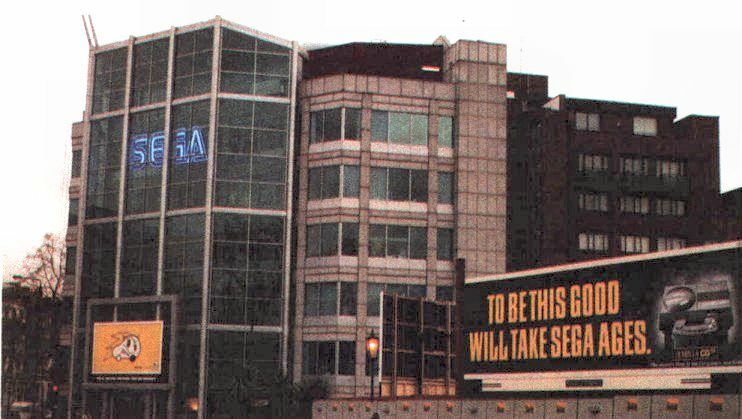 In fact, in the UK, Commodore put up a cheeky billboard advertisement right out the front of the headquarters of SEGA UK, with a picture of the CD32 and the slogan “To be this good, will take SEGA AGES”. It was also designed to be mostly compatible with exiting software released for the CDTV. Unfortunately, due to legal action towards Commodore, this machine was never officially released in the United States of America, but it sold quite well in Europe. On April 29, 1994, Commodore International announced that it had been unable to renegotiate terms of its outstanding loans and was closing down the business. This marked the beginning of the end of what had been one the largest computer companies in the world, one of the true pioneers of the computing industry. On April 20, 1995 the Amiga trademark and technologies were finally sold to a German computer company called Escom, who put the Amiga 1200 and Amiga 4000T back into production, but no new models were ever available to the buying public. A “new” Amiga model was shown, which was known as the “Walker”, but it never went into production. Escom declared bankruptcy on 15 July 1996 and was liquidated. Gateway, Inc. acquired the Amiga trademarks and technologies after the liquidation of Escom.